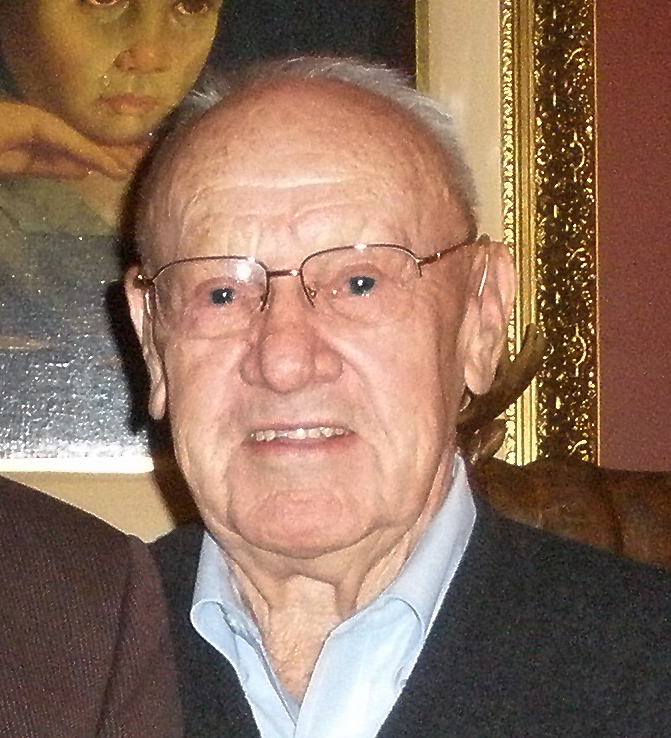 Colonel Victor Croizat died of congestive heart failure on May 8, 2010 at his home in Santa Monica, California. 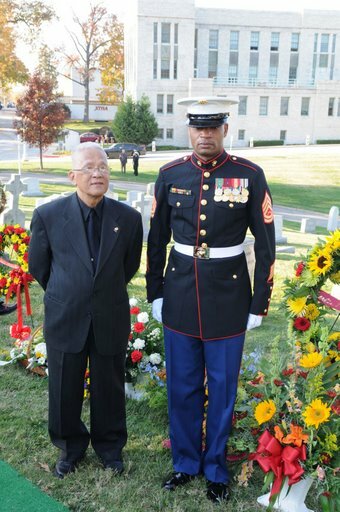 “Lieutenant Colonel Croizat would also go on to establish a South Vietnamese Marine Corps (SVMC) which would, under the direction of American advisors, develop into a serious fighting force. The relationship between the newly established SVMC and the Americans was cemented by a bond of trust. 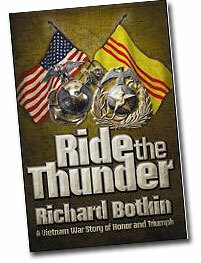 There was no hardship that the Vietnamese Marines suffered which was not also endured by their American counterparts. 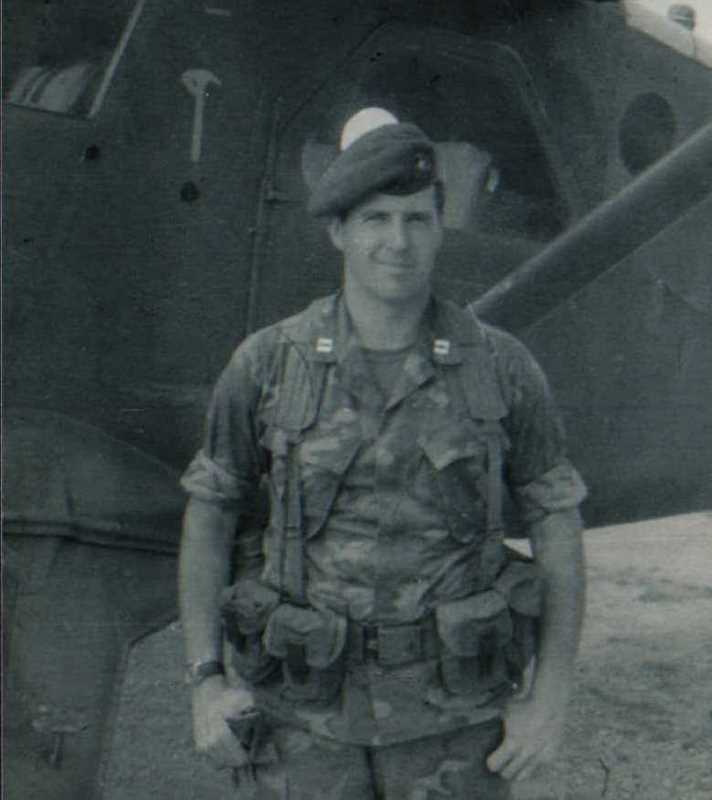 Colonel Gerald Turley, The Easter Offensive: The Last American Advisors, Vietnam 1972 (Annapolis, Md. : US Naval Institute Press, 1995) p. 7. "Legacy of a modern knight"
This week Christians observed the Passion of Christ, the suffering servant but also the King of kings. Were he still among us, one warrior-servant whose deeply abiding faith and military prowess helped shape him into a legend — a latter-day knight — would be solemnly worshipping. He also likely would be recalling another Easter Sunday 38 years ago at almost precisely this time of year in a quaint but war-ravaged South Vietnamese village called Dong Ha. In 1972, Marine Capt. 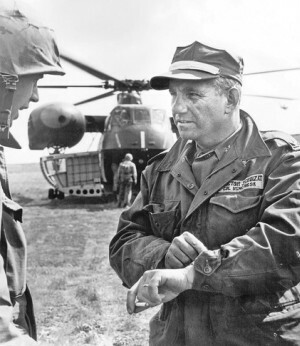 John Ripley was in South Vietnam for the third time as one of the last American military advisers. 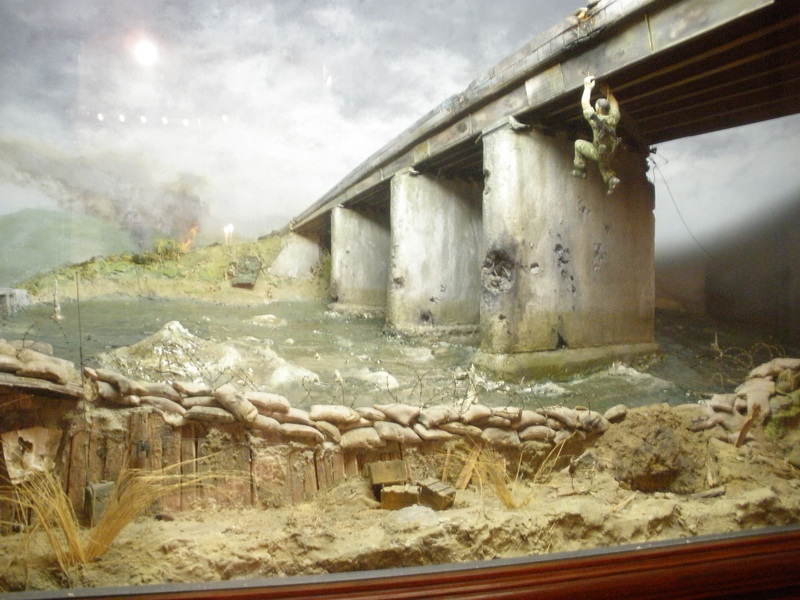 His first two combat tours were as a rifle company commander. He was already the stuff of legend. 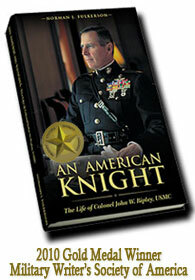 To purchase An American Knight: The Life of Col. John Ripley click here. “I have never known anyone with enduring repetitive courage who was not also a person of faith. In combat my faith was for me a substitute for fear; it was a source of comfort, calm and courage — it allowed me to do things that for me would have otherwise been impossible. John Ripley was also a man of faith. It was clearly the source of his extraordinary physical and moral courage. 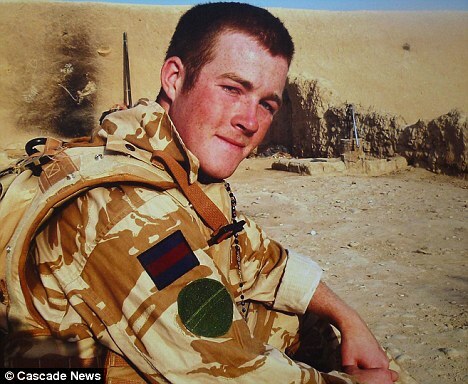 He was a true hero, not a celebrity. Not only a person who performed acts of courage, rather he was a good person who performed acts of courage. Only when you combine courage with goodness do you have a true hero. His goodness crowned his courage and defined his character which marked him as an extraordinary example for those who follow the warriors path. “It is for this reason that I highly recommend Norman Fulkerson’s book on John Ripley, An American Knight, to all who seek to understand heroism. John Ripley (left) earned the nickname Baby Buck at an early age. His mischievous eyes transmitted a boundless energy to all those around him. The affectionate bond between him and his brother, Michael, was evident early on. Excerpt from “An American Knight”. It was evident at the time of his birth on June 29, 1939, that John Walter Ripley’s life would not be easy. Francis and Verna Ripley were living in Keystone, West Virginia and no sooner had they arrived home with their newborn when he had to be rushed back to the hospital because of an illness that almost took his life. Although no one remembers what the ailment was, it seemed appropriate that a man, who would endure every imaginable hardship on the battlefield, should begin his life with a struggle. This natal fight in no way dampened his vivacious spirit, and his fight for life might have been what led his father to give him the nickname Baby Buck. Coupled with his rambunctious nature, the image of a wild horse immediately comes to mind with this fatherly pet name. Francis Droit Ripley was described by those who knew him as possessing one of those unique personalities that are so lamentably rare in the modern world. He was rarely seen without a cigar in his mouth and then, only temporarily for Sunday Mass, which he never missed. The presence of this cigar and his gruff, straightforward way of being earned him several nicknames of his own. The one he most disliked was FDR and the one that most fit him was Bulldog. Most people just called him Bud, a name so frequently used that his own grandchildren often inquired what his real name was. Francis Droit “Bud” Ripley (left of center) was all smiles as a Naval Academy midshipman with his friends. His joy was later turned to sorrow when he was expelled for missing his boat in Hawaii. Bud Ripley was keenly aware that his ancestors had fought in every American conflict since the Revolutionary War, including some who fought on different sides of the Civil War. There was something distinctly military about him, although his own military aspirations were cut short when he, much to his father’s chagrin, was expelled from the United States Naval Academy. It was not because of poor grades. In fact, his younger brother Louis, who went on to become a renowned orthopedic surgeon, considered him to be one of the most intelligent men he knew. Bud’s expulsion occurred because of his curious nature. As a midshipman serving in the fleet, he went to visit a volcano while his ship was docked in Hawaii. As he was returning from his excursion, he realized that he had missed the boat—both figuratively and literally—and along with it the chance to be a commissioned officer. This missed opportunity left its mark on Bud Ripley and from that point forward, he always carried himself as a military man. He was well-groomed, well spoken and, above all, disciplined. After this disappointing affair, he followed in the footsteps of his father, Walter Starr Ripley, and pursued a career with the railroad, became a mechanical engineer and later manager for the Norfolk & Western (N&W). 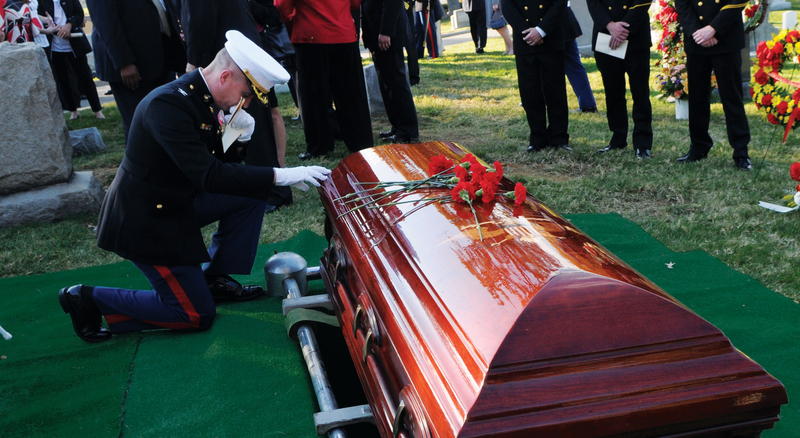 He was determined, however, that his sons would not make the same mistake he had and cultivated in them the virtues so important for a military career. Foremost among them were a fanatical drive never to waste an opportunity, the tenacity to never quit and diligence in one’s duty. became so much a part of his personality. When he reached the sofa, he pulled himself up to a standing position and then attempted, with great effort, to climb onto the couch, but his little legs were unable to fulfill the task. 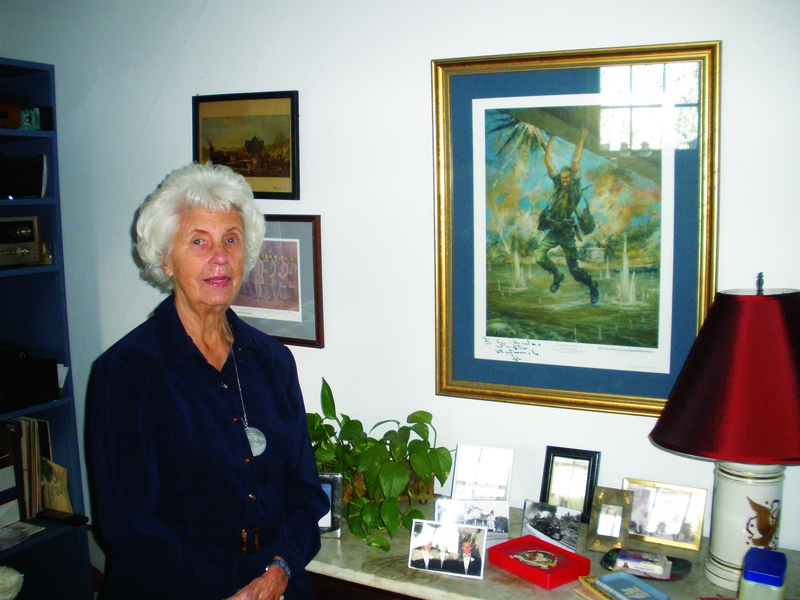 Verna was moved by the scene and approached in order to help. Francis Droit stopped her cold in her tracks. “No, don’t help him, let him do it on his own,” he said, taking the ever-present cigar from his mouth. “He will learn.” After several attempts, Baby Buck did in fact achieve his goal and was no worse for the effort. It was a valuable lesson in perseverance… Read more.